It would be one thing if it was just students sayingor and believing in fiction, but a number of people harbor suspicions of intelligence agencies. There’s reasons for this, and they mainly stem from past instances of controversial and sometimes illegal activities but the fascinating thing to me is that of the people who believe in conspiracy theories that I met, they don’t even know of those past abuses and controversies or they have only a passing knowledge of them. Indeed I’ve been asked the following a few times in a variety of ways, “you’re a smart guy, you can’t tell me the US government had no role in 9/11.” When I break that statement down, it tells me that if you’re intelligent you should be able to “see through the mystery” or the “lies,” “connect the dots” or “fill in the blank.” The event was just so big, how could no one know? This is anecdotal, but of the people who I have had these debates with, few of them have a good knowledge of international affairs, history and what they do possess is skewed to fit the conspiracy narrative, “Osama bin Laden was trained by the CIA right?” or some such nonsense. If these thoughts were confined to a few people, no harm, but they are not. They are growing, and worse, they are finding their way into powerful places, like the White House. Why is this happening? Like most things I don’t think there’s one simple reason for this or one factor but several and I may not hit them all obviously. 1. Believing in conspiracy theories is easy. This is the main one for me. It’s much easier to accept a simple straight forward, even Hollywood like narrative, because it’s easy to digest and doesn’t require critical thinking because you’re just being told what the “truth” is. Critical thinking is increasingly in short supply.Keeping up with politics and understandings of the past can be time consuming. It’s easier to explain things away with a simple narrative. Many people don’t feel they have time to learn about what their governments have been doing over the years and want to believe that they didn’t have a hand in some traumatic event because they weren’t involved in voting or holding their government to account over the years before something happens. The irony here is that people search for complicated answers that are easier to accept than the truth which is often the result of complicated factors and relatively obvious to see. Neglect is far more likely than malice at the root of any conspiracy theory. 2. The internet as a source of knowledge. The internet has increasingly become portrayed as the place you go for answers, ex. “Google it.” People go to it for advice on anything and everything, including their health and diagnosing illnesses. The problem is when people often claim they’ve done “research” using the internet, they have no bloody clue what “research” is and/or how to do it. It doesn’t consist of staying up late and reading countless websites. 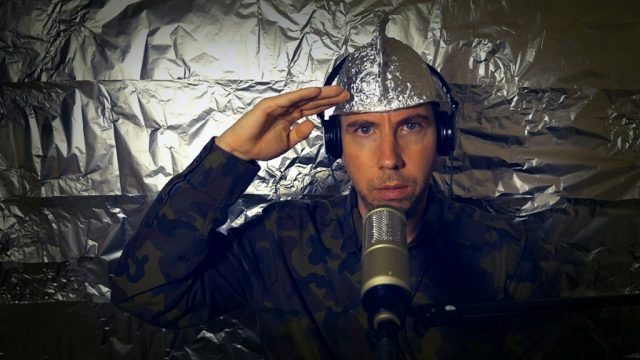 The conspiracy sites outnumber any legitimate ones that contain factual info giving a false impression of “consensus” around the conspiracy story. 3. Secrecy is equated with criminality. This one is the fault of all the cuts to history and other related arts programs because they “are not useful for getting a job” to quote the views of some governments and university administrators. All people need to succeed are “business degrees” or “science ones” and people now wonder why a businessman with no knowledge of foreign affairs and history has the capability to use technology created by science to possibly blow up the world and surrounds himself with conspiracy minded advisors. It isn’t clear how much Trump believes but the point is he helps spread theories and tries to rally support for them from followers. I wonder what a difference a history or political science degree might have had on someone like Trump. But Trump aside, conspiracy theories rely on people not knowing things, and those theories filling in those knowledge gaps with their interpretation of past events that have led to the present. Poor and insufficient knowledge of history and what led to an event is often necessary for someone to buy into a conspiracy theory. 5. There just isn’t enough history. There’s multiple factors here. Intelligence agencies have been guarded with their history and so has government. But what’s the result of that? It’s that what we do have is often the sensational, and the scandalous and I will tell you as an instructor that it is tough to then tell someone “no no, there’s no smoke here.” What has been released has often been forced out and as a result we’re left with a limited understanding. Here’s an example, how about a social history of CSIS or CSE? Is that possible? Right now no chance. And yet, there’s many many people that have worked for these organizations for decades, but we won’t know their stories for many years if at all. These were workers like other workers, trying to do a job they thought was important and necessary but we can’t get much of a glimpse of those lives or work because of the nature of the organizations. Some kind of reveal would remove the nefarious feelings people have, and hummanize the organizations and the people who were there. Part of the reason these conspiracy theories are allowed to propagate is because of a lack of knowledge and a lack of hummanizing of organizations that were made up not of machines but of people who did thankless work, and work that wasn’t as glamorous as people want to believe but work that was important. If people don’t think that’s important to know consider that many in the US, including the President, think the “deep state” is after the President. If people had more knowledge of these organizations, of the daily lives of people in them (at least in the lives of past workers, clearly present day isn’t possible) maybe that would help damper some of this and remove the “us vs. them” that is so common with these theories where “us” is society and “them” being the intelligence services. The end result here is that even conspiracy theories and why people believe them is complicated and multi-faceted. The “truth is out there” but people just have to be willing to see it when it’s in front of them. Truth is often times much stranger than fiction. Admittedly, I’m still new to the social media scene. I only joined Twitter in January, and Facebook in December 2016. I have some opinions on the subject now, especially as an academic who sat on the sidelines of social media for a long time and has now entered it. I started thinking about the topic more and more after I had a Twitter discussion with a fellow academic and I have arrived at some personal takeaways. Others may not agree with me of course, but these are my own personal observations and feelings on the subject. For starters, I joined social media more out of a feeling of necessity than anything else. My views might then be skewed because I felt compelled to be involved in it rather than eager to join it, and ever since I haven’t really enjoyed it. Why compelled? Because I honestly felt like it was a necessary part of having people know about you and your research particularly in a tough academic job market. But now that I’ve entered, and tried it, I have to question the value in terms of making a public contribution. I’ll focus on Twitter right now since that is my latest entry. Twitter I found to not be a good place for any kind of debate or discussion. The mere fact that people have to reply to their original tweet to go over the 140 character limit speaks to this. To draw on Marshall McLuhan, “the medium is the message,” and in the case of Twitter that 140 characters really does dictate what you can and cannot say. The medium favors snappy comments, not nuance, and all too often many people begin starting their Twitter debates in anger, whether it’s responding to someone, or to a news article. The medium favors knee-jerk reactions, and quick replies. In other words, the complete opposite of reasoned and intellectual debate and discussion. It brings out the worst in people, myself included. I found myself wondering if Twitter is how “newspeak” begins as I contribute to destroying words to make the character limit and I also contemplated when the “quacking” would begin, the ultimate goal of newspeak. These “debates” I found often start in an antagonizing manner and end with either people agreeing to not agree, or whomever gives up the assault first. It’s also fairly easy I found for the “discourse” to end in insults. Here’s a Twitter confession: I find myself also retweeting stories or sending out initial Tweets about stories I haven’t read but the title seemed about right, and I’m quite sure many others have done the same, since reading every single news article takes time, too much time. What also takes time is going through everyone’s feed that you follow. How many of you have muted others because it’s too much or you just don’t want to unfollow. I’ve done both, unfollowed and muted and sometimes I’ve refollowed someone I unfollowed. Once I discovered “mute” I’ve stopped unfollowing people. The problem for me tended to be the most prolific Twitter users could be the most difficult to follow because they crowd out your feed. Now we can just mute, whew! But if you use mute, what’s the point then of following other than to be part of group? The biggest problem I find with Twitter is that I find Twitter to be a giant echo chamber. And it’s this reason I question the academic value of it. If your followers think like you, and you follow others who think like you, your feed quickly becomes filled with people either patting you on the back, or you patting others on the back. The exceptions to this I found were when the angry attacks begin by the “outsider” to a group who is shouted down or encouraged to leave, all while attracting bystanders who weigh in with “likes” about who took the win, not unlike the old school yard fights that attract onlookers who then retreat back to their own circles once the exchange ends. So as a public good I question the value of this as it appears to me to encourage the creation and defending of “camps” more than reasoned exchanges of information and dialogue with people who hold different views. I don’t see much bridge building but rather – wall construction. Speaking of which – consider this, why does everyone have a problem with the President of the United States using Twitter as his medium of choice for public engagement? It just seems wrong. Ask yourself why. I wish other mediums were different but I haven’t found that to be the case. Facebook pages can be similar, except the owner has more control over what takes place and same with your own website of course. I have found social media apps to be most useful when used for their original intent, connecting people, and also for making people aware of issues and events and what you’re up to. I’m not sold on the academic value yet. The other big issue is time investment. This is all unpaid work (some outlets do pay for material, worth pointing out) and it’s work that takes away from other work, like academic publishing, which is still the standard form of recognition in academia and the one your peers will be judging you on the most, especially for younger scholars. Write all the articles you like for news magazines, newspapers, online news sites, blogs, etc., but at the end of the day, it’s the academic ones that will still be the only ones that matter the most for your profession (at least in most disciplines) and this is especially the case for junior scholars. It’s very easy to become a journalist whose salary is mostly paid by a university or if you’re a sessional contract worker, the work is mostly free. Depending on your level of engagement, this can be a serious time investment and a lot of work, and while universities are happy for good publicity, it often doesn’t translate into more pay through your university so you have to evaluate what it is you’re able to do and what you can’t do. This as I said, often depends on where you are in academia. Another factor is that some academics are highly active on social media in order to be noticed by mainstream media. This ties into the previous paragraph. While it’s great for adding some informed comment for the public, it’s also (let’s be frank here) a form of self-promotion for your “brand.” I do it, others do as well. But let’s be critical about those informed comments too. The problem, as I see it, is the speed at which you have to be ready to comment and that speed takes away sometimes from your ability to accurately assess the situation. This is where the boundary between social media and mainstream news media converges for academics. I found that when you are constantly involved in trying to comment quickly, and reading up on what others have said about a breaking story, the “rush” to provide comment leads to the comments sounding not all that original, and not all unlike what other journalists or experts have already said, and then if you’re being objective, what really is original or novel in the comment from you – the expert? In other words, getting involved quickly in a media story and in social media, for me at least, tends to have a conservative effect on your critical thought. The result is that you don’t really sound all that different from any other journalist who specializes in the material they write on. I’ve seen it time and time again where so many people, academics and journalists, tend to coalesce around the same idea or opinion and then it becomes the “correct” interpretation about something. The more critical comments, and sometimes the most unique ones, are too unique and don’t sound like perhaps what viewers and the majority may want to hear, even if it’s right. I think you could argue this is true of academia and media without social media, and I think that’s true, perhaps I feel social media amplifies the effect. My concluding comments are that I’m really not certain how much longer I will maintain a social media presence. If I was more convinced that this media furthered the public good and encouraged a changing of ideas and reasoned debate, I’d be inclined to stick with it. But so far I’ve seen the opposite, the creation of camps where all members think mostly alike which reduces engagement with people who actually need to engage with others, a hardening of ideas, and quite the opposite of informed and respected discourse. This obviously isn’t the case for everyone, and I don’t seek to paintbrush and over-generalize but just speak from my own observations and experiences. I have also met some great people online, and I’ve met some new faces that I’m not sure I would have had a chance at meeting otherwise and that was awesome. I want to stress I’m more concerned with the medium overall, not the people, and the ways in which the medium structures us to conform to the technology or to certain ways of thinking and acting. But there’s also the other less polite individuals and sides of us the technology helps bring out. I so far have found online interactions much different than in-person ones, which suggests that the behavior of some individuals online would not be tolerated in an in-person setting and this point has been made before. The bravado that comes with speaking online I think is very real, not unlike a form of “road rage” perhaps. Maybe that’s also a worry of mine, that this kind of shouting-down style of speaking, so common on apps like Twitter, becomes accepted as real-world “debating” and becomes the norm, spilling over into all in-person interactions permanently. It certainly appears that way in the political profession. If it continues, I had better brush up on my quacking skills. Over the last few months I had to balance and navigate my way through trying to publish an academic article but also one in which the content was featured in the media, before it was published. During a presentation of my work for the Osgoode Society for Canadian Legal History in January, I was asked a question about the balance between the media and academics and I don’t feel like I answered it quite fully and it has bothered me that I didn’t explain myself fully so I opted to write this post. Academics dealing with and providing content for the media is pretty old hat. Lots of academics do write ups for the press like articles and the like or offer commentary on issues. Having your research be the story happens too, most often I would say with the sciences as one study after another usually finds its way into the “Health” or even the”Science” section (still no humanities section featuring latest research). 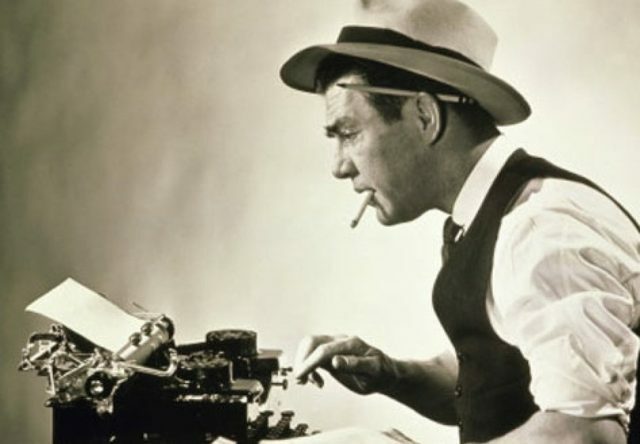 Humanities academics though can sometimes find themselves in a bit of a competition with journalists as journalists have stories they want to write and publish and the boundaries can sometimes be rather fluid. If a journalist finds a great story about a historical event that no one has discovered previously, it may be newsworthy and get written up with the historian in the relevant field perhaps hoping they would have made that discovery. What happened to me in October 2016 was a rare find. New discoveries in Canadian history do not come around often as other historians who made new discoveries recently could probably attest to, like historian Ian Mosby and James Daschuk. I made an Access request in October to Library and Archives Canada for one specific file and that file revealed the government’s wiretapping program PICNIC that began in 1951 with P.C. 3486. I searched the existing secondary literature, and consulted with other senior historians in the field the night I read the file. We recognized this may be something the media may want to see and report on. But I had a dilemma. I also wanted to publish something on this academically because no one had, but that would take months if not a year to do, and this document now having been released, was now public, so what do you do? This is something perhaps only a “still in the hunt for a tenure-track spot” academic like myself may be concerned about. I’m not sure if more senior academics would be kept up by these questions but I do think for people in the hunt for a permanent position, ways of standing out matter, and new discoveries certainly make one stand out (though it remains to be seen if it truly does make a difference in the long run!). In the end I opted to stick with academic publishing since at the time I thought that what mattered most was the contribution to my field. In hindsight I still think it was the right choice. I wrote an article concentrating heavily on the document I found and submitted it for review to the Canadian Historical Review. From the day I found it to the day I submitted was about 2 weeks. It took me about a week to write it, and I looked it over once more. It was admittedly a little rough for a submission but I was hoping that reviewers would recognize the significance and rarity of the find over the typos. Reviewers typically were expected to provide their review within 8 weeks and it was only as that date drew closer that I began looking for a media outlet interested in the story. Contacting media too was not straight forward. I emailed every major paper, and various CBC outlets (Toronto and Ottawa). I emailed the Canadian Press too because days were literally passing and no one seemed interested at all which surprised me a bit. The Canadian Press took interest but time was passing as I waited for a follow up and CBC finally took notice when they were doing stories on the RCMP wanting lawful access to internet traffic. An unknown wiretapping historical discovery now seemed pretty timely. It didn’t hurt that the Privy Council Office in their refusal to release P.C.3486 added more intrigue and drama to the story by claiming they couldn’t confirm or deny the secret order’s existence. The story was now writing itself, but now the Canadian Press also came back into the mix. As someone who was thoroughly unfamiliar with any of this, I had not realized that the Canadian Press and CBC were competitors in the news game. Thankfully all agreed to work together. The story also didn’t go public until the peer review process had been completed and the editors of CHR had a decision on publication. So I preserved the peer review process and got the public attention. The academic article will be published in the September issue of the CHR. My advice then to young academics who may discover a rare find in their research: do your academic publishing first if your eye is on doing it for a living. Forget social media and everything else, seek to find a home for your work with a peer reviewed journal and after that, if you think the general public would be interested, seek out ways to get your stuff out to them. If you’ve written academia off then by all means do whatever, but otherwise, your academic publication will have longer legs than the news cycle. I had pondered what I would write about bill C-59 for a few days. Many stories have been written about this bill and I don’t want to go over the same ground as everyone else because there’s simply no reason to do so. I will focus on the historical changes and what I think the bill means but also pay attention to some of the possible benefits and drawbacks. Theater is the theme with this post. My tone in examining the pros and cons of this bill is cautionary because at this stage, its release is political theater. There was really no reason to introduce a large bill before the House would break for the summer unless the government wanted to get people chatting and to create hype and in that vein the bill is a success. As for its contents, yes there is a fair degree of new content here but also there’s no guarantee of how successful it will be until we know what the budget will be. ‘Show me the money’ as the saying goes. For example, the first section of the bill sets out a new intelligence review body for Canada including an Intelligence Commissioner. This is good but previous bodies suffered from financial neglect and patronage appointments. The Review body will have the power to review the intelligence community and summon witnesses to appear, investigations though will be done in private. The mandate and powers for the review agency are fairly good, and more in line with what I had advocated for, but the question that needs asking is what about bill C-22 which recently passed the Senate, i.e. the bill to create a Parliamentary committee to review national security? This new review agency will have greater ability to review than the Parliament committee will. But one thing worth pointing out is the new agency will not be able to have access to “confidences” of the Privy Council. Why not? Why shouldn’t the review agency be able to have access to that material? I find the disconnect between government and intelligence when it comes to oversight concerning. The emphasis in this bill is on reviewing the community, CSIS, CSE, and RCMP (in matters of counter-intelligence) but why shouldn’t the review agency be able to see a confidence which might disclose how, for example, a future government directed agencies to conduct an activity that shouldn’t have been undertaken? It appears as if the government is doing its best with these oversight committees and agencies to protect itself from the scrutiny of oversight. Given all the scandal south of the border, greater transparency of elected officials here (beyond finances) would be welcome. The bill makes some changes to preventative arrest, but not enough for me. For me, preventative arrest is an oxymoron. What is it other than arbitrary detention? Either you are arresting because an offense has occurred or you are not and if you’re arresting without an offense occurring than you are arbitrarily arresting. It is, in my opinion, a suspension of normal legal process without the government needing to suspend the legal process. 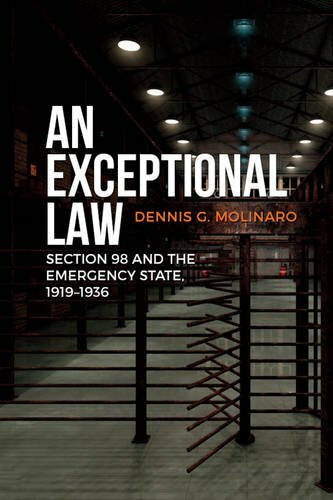 It used to be the case that f you wanted to arrest someone if they hadn’t committed a crime, an emergency needed to be declared first, and then emergency laws came into effect. Preventative arrest being part of the regular Criminal Code is disturbing, and the excuse of “well it hasn’t been used” is a weak excuse for retaining it until it is and wrongly at that. Another sizable portion of the bill concerns the CSE. I’m not particularly surprised by the inclusion in the bill that the CSE can now engage in cyber-attacks (C-59 permits this). Historically speaking I found that when these policies were put in place it was sometimes because agencies were already doing the activity, or were asked to do it, and they didn’t want to be operating in a legal vacuum. Curiously though, a new Commissioner will be in place to review CSE activities, providing a level of distance from the Minister, but still there is no active federal court judge to provide a warrant for surveillance that could involve a Canadian. While surveillance is never to be “directed” at a Canadian, that ambiguous language has always left open the possibility of incidental collection and left people wondering if collection of Canadians could occur in a roundabout fashion. What I find most interesting about this section is it is indicative of the broader transformation that has taken place with CSE or rather the government’s attempts to transform it. This was an agency that was created during war and almost scuttled when war ended. CSE found its place as the CBNRC, and within the bureaucracy of the National Research Council. They were on the books as doing security related research, a cover for their foreign signals operation. It was only until the 1970s and a CBC Fifth Estate documentary that Canadians learned that Canada had a foreign signals agency and it took until 2001 for that existence to be acknowledged in law. This new bill in some ways officially brings CSE out into the open, lays out its mandate, and what it can and cannot do and who will be charged with reviewing it. At its core though, the bill seems to still confirm the military origins and roots of the organization. It can engage in attacks and it still can go to the Minister for authorizations rather than a court. We are left with this curious transition of an agency with military origins and roots into a civilian one, but still somewhat remaining on the fence, pulled between two worlds. Another aspect of the bill dealt with immunity for CSIS officers and the controversy of threat disruption that arose with C-51. While I think most would understand and agree CSIS needed immunity protections and an ability to engage in disruption (it doesn’t always mean the worst thing you can think of, it can include warning family members about the path someone in the family is taking) C-51 was pretty lazy in doling out this kind of power. Legal boundaries needed to be drawn and there is now some attempt to do that and I think CSIS would actually be happy with more clarity. At the end of the day this bill, like many from this government, doesn’t drastically change many things and the bigger changes that are proposed require funds to make them work. Some distance from the bill I think will show that to be true. Signals intelligence and surveillance agencies broadly speaking relied on imperfect senses to interpret intelligence, but their existence also relied on those same poor human senses. The Security of Information Act encourages workers to have “eyes” and “ears without feeling.” The public must lose sight of security cameras, blank out transmission and listening stations, and maybe even talk about new security laws someday as if they were no different than parking bylaws. So for me, in addition to the measures being proposed and altered, it’s worth reflecting on the historical change, how the bill so openly mentions things once considered so secret that revealing them could land you in jail. Is this the beginning of a new phase in our security history or the end of one? If you find another piece I should include let me know. This week has been a busy week in terms of security, intelligence and Access to Information (ATI). If I didn’t know better it would almost seem as if the government is trying to relive the 1980-1984 era when CSIS was created and so was the ATI Act. Two bills have been put forth by the government this week, bill C-58 and C-59. C-58 deals with ATI reform and C-59 national security measures meant to deal with the C-51 controversy during the Harper years. In this post I will deal with C-58 because bill C-59 is rather lengthy and deserves a close read before posting. So what’s new with C-58? Should we break out the champagne? Did petition e-1090 have an effect? While I would like to believe the recent scandals about secret archives and such did have an effect only the government can confirm that. After all this law wasn’t supposed to be amended until 2018, but low and behold amendments are now being brought forth. So maybe the pressure did have an effect but what the government has proposed with this bill shouldn’t be lauded just yet. Arguably the most significant change is allowing the Information Commissioner the power to order documents released. While this was something many advocated for, the government can contest that release, and dispute it in court, which isn’t entirely dissimilar from what we currently have now. The Commissioner can go to court on a point of law. The problem now, and likely to come, is how much funding and resources the office would have to fight government attempts at withholding documents. Without a properly funded office, not much is likely to change, though it remains to be seen how often the government would also want to waste taxpayer dollars fighting taxpayers on releasing documents they are, more often than not, entitled to see. Aside from that change the amendments don’t address section 69 of the ATI. This section of the Act enables the PM, cabinet and the PMO to escape the ATI Act. Reforming this part of the ATI was a campaign promise (there goes that one!). Other additions are actually more troubling in terms of providing Canadians with access to documents. The new amendments give the government and the Commissioner the power to refuse a request (wasn’t this supposed to be an Act about providing access?) on the grounds a request can be considered “vexatious.” How will institutions decide what requests are considered “vexatious,” or rather, annoying? The amendments also appear to reintroduce costs for processing and there are more requirements for being specific for information in requests. Being specific is fine, but what if you have no idea what an institution has? The ATI to be effective relies on transparency. These amendments appear to be aimed, if I didn’t know better, at reducing government costs and making life easier for those processing requests. I agree that the workload on those handling requests needs to change but not like this. It should change by alleviating ATIP staff from the burden of having to deal with the mountains of documents they have to manage (I don’t believe that being an archivist was ever in their job description) and sort through because of a broken archival transfer system and governments overly concerned about security exempted files from history. There is no reason workers should bear the responsibility for all this. Rather than making things more costly for a requester, and give institutions more power to tell people to go away, sort out the big messes and backlogs behind the scenes. So maybe the wrong lessons were learned from the “secret archive” stories. I’m hoping to see more positive changes, but for the time being, the government seems more intent on preserving its hold on the broom closet real estate market, and the locks to guard it, rather than cleaning it up. Canada Has a New Defence Plan and Will “Step Up” But What Does that Mean? Foreign Affairs Minister Chrystia Freeland caused a bit of stir with a speech in the House of Commons claiming that Canada was going to step up to play a leadership role on the world stage. The Minister was critical, and yet cautious, in her statements about the US withdrawing from its leadership in the international arena. She also dropped the word “sovereign” (which always gets noticed in Canada because any other country would likely ask “why wouldn’t a country pursue a sovereign course in their foreign policy?”) and you have the makings of a national news event. In an apparent bid to back up the claims that Canada is now a force to be reckoned with, the National Defence Minister Harjit Sajjan also announced that Canadian defence spending will increase by 70 per cent over the next decade. I don’t want to throw too much shade on this because it is a good start to doing something which is always better than nothing (most of the time). Before people get too ahead of themselves in celebrating Canada’s new rise to international leader role, some perspective is needed here.For starters, this is politics and make no mistake this was political messaging aimed at several audiences. The government has been accused by its left-leaning critics of being soft on Trump’s policies, some of this was to placate them (though again, Trump ala Voldemort was not named by the government). But also it was aimed at domestic supporters, the “sovereign” drop for instance would demonstrate Canada is pursuing it’s own course based on its “values,” vague as they may be, just like the good old days of Pierre Trudeau and Lester Pearson etc. The government also wants a spot on the Security Council, this is more fuel to build that case. The message was also possibly directed at those in Washington who don’t like the direction the US is headed in and could serve as a signal that the US’ allies will move in their own direction. The timing is also important. Canada had to say something, perhaps the government was eager to announce something, but didn’t really want to upset Trump and so these announcements come when the US is glued not to Canadian defence policy but James Comey. How much do we hang on all this? Beyond the politics I wouldn’t get too excited. This recent call for Canada to chart its own direction has been uttered many times. Pierre Trudeau wanted to pull Canada away from US dependency and he wasn’t all that successful. Even Jean Chrétien claimed Canada would not follow the US into Iraq (though it turns out it did in indirect and less publicized ways) and these are only the recent claims that Canada was moving in a different direction. For decades similar speeches have been made, but the end results never really led to much difference in policy. In terms of defence spending, the last 30 years have been defined by one boondoggle after another. 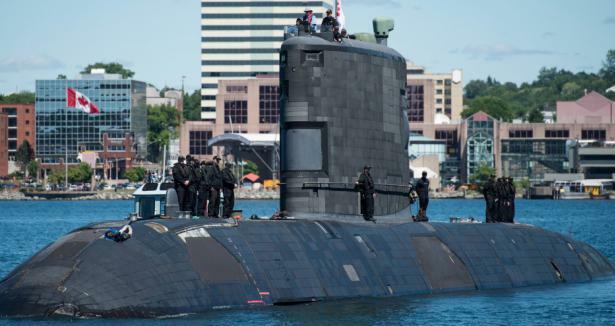 From helicopter purchases and cancellations, fighter purchases and cancellations, and who could forget that UK submarine “deal” Canada received? Spending is also political. Purchases could be cancelled by a future government and in a budget crunch it would be hard not to cancel. Despite the “sovereign” approach claims, all of this seems like it was done to, yes, appease Trump and the US who wanted US allies to pick up more of the international defence tab. The end result of all this is that before a new direction can really be charted, the boat has to float before it sails. By now the story of Canada’s secret archive has made the news. I will take the time in this post to elaborate more on what I found and why I think it matters to everyone. This began during my search for documents pertaining to wiretapping in the Cold War. My early research finds made news in December 2016 and January 2017. The discovery of P.C. 3486 and the PICNIC wiretapping program led to a search for more material. The early indications were that this wiretapping went on for decades and that a paper trail had to exist. The RCMP paid rent to Bell for the wiretapping, so where were the financial records, the transcripts of calls, the warrants that were issued, etc.? To my dismay, a thorough search at Library and Archives Canada (LAC) involving the aid of the Information Commissioner’s office led to nothing. Where were these records? I decided to try something different. I filed Access to Information (ATI) requests to every institution that I could think of that may still have material. This included: the Privy Council Office (PCO), RCMP, CSIS, National Defence, Department of Justice, Communications Security Establishment (CSE) and Global Affairs. Some preliminary searches came up negative, some places never replied. In most cases I asked the Commissioner’s office to intervene to expedite the search. In the course of the search I learned more, such as that Global Affairs had some sort of facility in Saskatchewan that contained historical documents, enough that an archivist was needed. Some institutions like CSE wanted me to take other documents in lieu of abandoning my request because they thought it so broad that it would impede their function (something I assumed could only occur if they had too many documents); other institutions asked for a year extension because they had too much, and PCO told me they initially found 147 boxes of material. That’s usually enough material (if most of it is research rich) to give someone a decade worth of work. One of the biggest problems I faced was that institutions wanted more specifics on what I was looking for. I told them my general research direction but as part of my request for “wiretapping files” from the Cold War, I also asked for the names of files in these institutions possession that pertained to my subject: in essence I wanted a list. If I had that, I could be specific, but no one wanted to provide one, except PCO which asked for more time but the time extensions became unreasonable. PCO then told me they actually had 1.6 million documents pertaining to my research. It was at that point I decided the public needed to know how bad this situation was. After receiving the PCO’s letter, I wondered if this was some sort of secret archive. Could it be considered secret if I was told by the government that it had 1.6 million documents? My answer is: if it isn’t a secret archive, where’s the “finding aid,” i.e. the list of what’s in there? 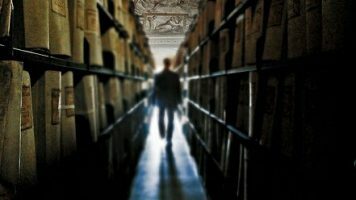 When historical documents are kept outside of the public archives, archivists are working outside the public archives, no one in the general public is permitted to know the contents, and there’s a separate system that has been developed for storing and sorting this information, what else can it be called other than a secret archive or archives? Library & Archives Canada stacks. Photo: LAC. I’m still not sure why I was given this information (the 1.6 million document figure): only PCO can answer that. The usual reply would be that “your request is too broad, narrow it down,” or some such refrain. I can only speculate that the previous CBC attention to my research may have influenced the institution’s decision to try and say something to the effect of “look we have a lot and we can’t do this” and to be specific about why, perhaps not recognizing that a historian would not only be upset about delays and not getting access as much as the fact that an institution outside of the archives would be in possession of all this historical material. Given PCO’s response when I asked about the secret order back in the fall of 2016, which was that the existence of the document couldn’t be confirmed or denied, I’m guessing that had I not been to the CBC over that incident, I may have had a similar response this time around too. My guess is they did not understand the importance of this and that speaks to a bigger problem about what the government thinks of history. But as I said, I can’t definitively offer an answer on this. Revealing that there is lots of material is not the equivalent of making something “public,” because the contents and many details about what is held, how much and where are all still unknown. All we know is that we’re dealing in the millions of documents. It’s also worth noting that I didn’t ask for anything current. I wanted material older than 30 years, and in some instances to help the staff searching, I even stated I would take material pre-CSIS, i.e. before 1984. There are also millions of documents that don’t pertain to my research but pertain to a host of other topics. What else is in these collections? It’s also worth pointing out that I don’t blame ATIP staff for any of this. They were doing their job helping me and found themselves in this situation of having to process and handle all this archival material likely because of a mix of secrecy, hoarding, and government neglect to fix it. Secrecy led to material being hidden, inertia and neglect took over, and secrecy protected neglect and the inertia. The reasons why this situation exists are ultimately not important right now, because the end result is the same: a massive amount of material exists outside of where it should be. While people can debate about when material should be made public, what is much more difficult to debate is where material should be. If a file is particularly sensitive it could be kept classified for a longer period of time, and more security can be created to protect files at the archives, but at least if it’s in the archives people know it actually exists. The legacy that the current government has inherited and maintained to date is much more Orwellian and anti-democratic in that by keeping documents secluded and “off the books” so to speak, they are hiding history. A nation’s history is central to people understanding themselves and is a critical component to a healthy democracy. If citizens have no right to see their history and access it, what does that mean for citizen access and accountability in the present? What kind of governments hide their history from their people? These are the hallmarks of totalitarian regimes not democracies. 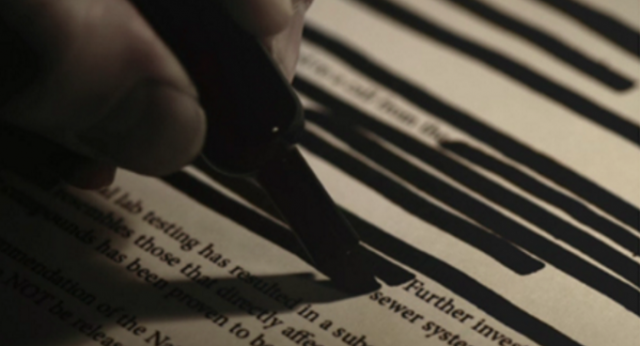 The existence of these secret archives that the state has created, either out of secrecy or neglect–or both–speaks loudly. Particularly in the year of Canada’s 150th, we see a government claiming to “celebrate” Canada’s history, while at the same time all the documents that are either inconvenient to the government’s view of history are hidden, or the government doesn’t care enough about history to treat these documents as they should be treated and turn them over to the general public. Either way, the result is a fragmented history, one in which gaps in the historical record have become too common and it speaks to successive governments that have either neglected our past or sought to control it to preserve its image of the country as it sees fit. Whatever the reasons the results are the same and are intolerable. It is a situation that every historian of every political stripe should oppose as well as all academics. The archives are not just a place for historians. They are a place for all academics to do research, a place for the public and the country to learn and discover themselves – warts and all. They are reflective of what the country has been and is today. What has happened with all this hoarding is a perversion of that, and of the laws that are supposed to exist to protect citizen access to government documents and preserve the country’s history. Take a moment and sign the petition I launched below which calls on the government to return historical material to LAC where it rightfully belongs, and to reform both the Access to Information Act and Library and Archives Canada Act to ensure this doesn’t continue. For the ATI Act to work it requires that institutions are transparent about what they hold. Among other changes, the Information Commissioner needs more power to acquire documents when government is not being transparent and the archivist needs more power to acquire documents rather than the current system which relies on side deals with institutions. They have clearly used this system to their own benefit and not the benefit of the people. When a law that is supposed to provide citizens with access to documents is being used to help hide them (ex. “be specific in what you want out of 1.6 million documents you can’t see”) and a law that establishes Canada’s national archives is being used to quietly justify secret archives, we have a serious problem. The LAC Act anticipates the direct transfer of material from government departments, institutions and agencies to the National Archivist and, therefore, the practice of holding back such transfers thwarts the spirit and letter of the Act and undermines the role of LAC as a central repository for the documentary heritage of Canada. I’m hoping that this government fixes this mess and finds itself on the right side of history. They should understand, as previous governments did not, that history doesn’t belong to governments, it belongs to Canadians. It’s your history and you have a right to access it. Since this story has come out about this issue there has been some discussion as to whether using the term “secret archives” was sensationalist. I can’t speak for CBC but I can speak for myself and what I know. So first, it’s quite ludicrous to think that the CBC didn’t speak to archivists, they did, I know this because I read the online article, the director general Robert McIntosh appeared in CBC’s coverage, other archivists also spoke to CBC as CBC acknowledged online, but many currently working do not want to speak publicly for a variety of reasons. Why try and continually make accusations archivists weren’t consulted? To force people out to face reprisals? It is easier for retired archivists to speak out but even still many don’t want to deal with the subject of security exempted material and that’s what this story has mainly dealt with. To try and draw a distinction between funding cuts at the federal archives and access to material in this case, as if it’s an “ether or” scenario is disingenuous, misleading and a false distinction. 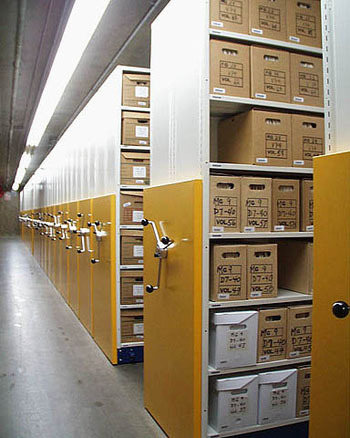 When dealing with security exempted material the issue of archival reform and access to material are not separate and distinct issues but rather they are intimately connected and one fuels the other. Security exempted material began accumulating during the Cold War (we think) and funding cuts, halting of reviews during the Mulroney years, and the power individual institutions had to retain records from the archivists led to hoarding. Secrecy and lack of access has made the issue one that was fought largely behind closed doors. Have former archivists not made the lack of funding issue and backlog issue known? Of course they have and historians did as well, often publicly calling out the government for its repeated cuts to LAC. Historians are not oblivious to the low morale and sad state of affairs and they certainly don’t blame public servants for that or expect more of them. But who was making it known that the government was also hiding documents that pertained to domestic wiretapping operations and had been keeping it out of public sight for decades? No one, because no one could, and that’s the issue here along with the issue of the accumulation of material and lack of funding. The story was about trying to get security exempted documents. The implications of it are to ask what else beyond security exempted files is being held and how are security exemptions being decided? In the UK, the illegal and embarrassing actions of colonial officers from the 19th century started their hoarding process. How far back in Canada’s history did this start? We can’t answer this if we don’t know what’s there. The public and historians are told to be specific when making ATI requests, but how can you do that when these historical events, like domestic wiretapping programs, were never made public? When no one except those familiar with the material know the material exists what do you ask for? “Can I have the files that shall not be named?” Seriously, how is that not a secret? I would welcome anyone to try to request unknown material. Let me know how that works out. Because of this situation, more creative ways at getting at the material were needed. Does that make it conspiratorial on the government’s part? Of course not and to suggest it is conspiratorial because material is secretly held is utterly foolish. Every country has exempted and secret material. Every country has material that is sensitive for security reasons that can’t be made public. The issue is: when does that end? The issue is excessive secrecy applied to these files and for too long a period of time and an ATI Act that is now being used to deny access to both current and past material rather than grant it. Canada is far worse at this than other countries. Not confirming or denying the existence of a 70 year old document is just plain silly. The inconsistency in releases is staggering and apparent to frequent users of the ATI. When I discovered PCO had 1.6 million wiretapping related documents did I expect a list of holdings right away? Of course not. I was told they had this after I asked for a list. Frankly, I didn’t know who had what or how much. How could I? The timeline I was given by them was 2 weeks but the release was held up for security reviews and “consultations.” The public doesn’t know what’s going on, it could be because the material is unsorted, but to those on the outside of the process, the effect is the same, we still can’t see the material, we still don’t know the extent of the holdings of the government outside of LAC, so yes it’s still a secret archives. People can speculate on the internet all they want about what they think the reasons are for delays and refusals but all you see as a requester of the information is the refusal. If you want that to change, sign the petition. Let’s change the legal framework and then push for the funding to implement it and clean it up, and no I don’t want current material released unless it’s in the public interest to release it. I want more power for the Commissioner’s office, more for the archivist to acquire documents and not always have to be deferential to institutions, as well as having section 69 of the ATI function the same as other exemptions rather than the “not applicable” status PCO confidences currently have. Some just want to speak about neglect and lack of funding when speaking of this story, and not the inability to get at the material, but that inability and excessive secrecy on exempted material along with lack of funding and neglect has led us here. It’s great to bring up funding and it’s a good opportunity to do so, but while this story dealt with hoarding, it was also focusing on security exempted material and access to it. What else is there isn’t known. If someone does know, I’d be happy to hear from them and suggestions on what to request. Archivists and historians need to be allies. We are all concerned about our heritage, as well as our ability to know that heritage, access it, and hold our past to account. There are no longer any good reasons for keeping all this material from our past a secret and to not fix all the issues that led to it. of LAC as a central repository for the documentary heritage of Canada. In the last couple of years Russia has been making headlines with its incursions into various conflicts such as in Syria and Ukraine and its annexation of Crimea. It also appears to have been steadily upping its game when it comers to intelligence gathering and cyber warfare. There is of course the most recent example of charges of interference in the US election but also in European elections. But Russia has also been devoting more to human intelligence (HUMINT) too (spies for those not familiar with the terminology). There was for instance the Illegals Program where Russian agents living as Americans were arrested in the US in 2010. This event even inspired the creation of a television show. There was also the case of Jeffry Delisle who was the former Sub-Lieutenant in the Canadian Navy who had been selling secrets to Russia from 2007 until his arrest in 2012. What to make of all this? Historically Russian intelligence has been focused inward, that is, concerned with protecting the government from subversives and enemy agents that could topple the government. This inward focus reaches back to the 19th century. In the latter half of the 19th century, modern day political terrorism really could be argued to have originated in Russia as the Czar battled with revolutionary youth who were inspired by the Nihilist movement. This counter-cultural movement sought a new reformed Russia and was met with fierce repression by the monarch, which created the Okrana secret police to route out revolutionaries leading to many innocent youth being detained and sent to Siberian work camps. Following the assassination of Alexander II, an attempt on the life of Alexander III led to the execution of more revolutionaries including Aleksandr Ulyanov, the brother of Vladimir Lenin. His death provided more personal fuel to Lenin’s revolutionary desires. Lenin was famously quoted as telling other radical youth after his brother’s death that there was “another way” to change Russia besides assassination (revolution). Even with Lenin’s victory over the monarchy in the October Revolution of 1917, the Bolsheviks quickly realized that counter-revolution and insurgencies were not something limited to the former monarchy. 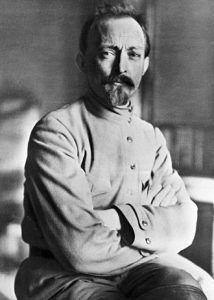 Lenin charged the “Iron Felix” Felix Dzerzhinsky to create the Cheka. It was a brutal domestic political police that viciously sought to eradicate counter revolutionary forces (waged by both internal Russian opposition and external western forces) and most famously captured and executed famed British spy Sidney Reilly after Russia fought a bitter civil war with former monarchy or “White Russian” forces. But this desire to guard against and protect the state from counter revolutionaries led by outside forces or internal ones never dissipated after the end of Russia’s civil war. Joseph Stalin’s consolidation of power was largely achieved by his ability to gain control of the state’s intelligence services and political police. His NKVD force engaged in some of the most vicious and paranoid purges the world has ever known with millions perishing in what Russia has called (during the most intense period) Yezhovshchina which the West often refers to as the Great Terror, or Yezhov’s purges. Yezhov headed up Stalin’s political police and arranged the death of millions including the purges of the country’s military command. The purges of the 1930s were so bad that the Nazis had contemplated a covert operation where they would play to Stalin’s paranoia in an attempt to have him purge the country’s military leaders. They were shocked to learn Stalin and Yezhov had beaten them to it! Of course the paranoia didn’t stop with Yezhov who also ended up being executed. Throughout the 20th century Russia grew its intelligence service to become one of the largest (at one point the largest) the world had ever seen. Even with the rise of the KGB after WW2 Russia was still inwardly focused even as it engaged in covert operations around the world. It often set its sights on emigre opposition groups (such as Ukrainian ones) that opposed the Soviet government. I would argue that what we see now with Russia is different. These recent moves in the past ten years are much more offensive minded and are in-line with the increased military incursions and testing we’ve seen. I find it implausible for the country’s leadership to claim it is defensive minded when it is testing new long range missiles in violation of its treaty obligations, annexing portions of countries, and trying to fuel an insurgency to take control of other areas to say nothing of quite boldly trying to interfere in the election of a world superpower. It’s unlikely Russia didn’t think anyone would notice. Quite the contrary. The election interference seems like more of an attempt to send a message that Russia could do it and wants recognition and international respect. Putin seems to want to play to the nationalist forces in the country (which seem to be winning) and engaging in the intelligence war appears to be another way to do it, in addition to the military element. Russia seems to want to be a respected world superpower again, perhaps even hearkening back to the days of the Russian empire, but to be that it seems to also believe it has to engage with and possibly challenge others. In terms of intelligence, the implications for the West are to not just assume Russia is interested in cyber warfare. That would be a mistake. The use of agents is clearly also on the rise. I wouldn’t be surprised if Russia went to what worked before and tried to penetrate the intelligence services of the west the old fashioned way – by getting their agents hired. They had success with the Cambridge Five, I wouldn’t be surprised if that was tried again. The point really is that the west needs to not just focus on data collection and cyber warfare. It needs to do a better job of reacquainting itself again with the second oldest profession. So the subsection is meant to protect a third party from a release that could result in a financial loss and also affect their competitive position. Based on the documents I was given (which involved discussions of how to keep the secret wiretapping order secret) and the surrounding text that wasn’t redacted, I have good reason to believe the subsection was invoked to hide Bell Canada’s name in the documents. It raises an interesting question, particularly for those researching national security and its history, a history that has often led to government partnerships with the corporate sector. Government contracts have been awarded for numerous elements of the security state, from the construction of surveillance infrastructure, to software programs, to even who could build the most secure filing cabinet. In the case of wiretapping and Bell, the PICNIC documents do reveal that the government promises confidentiality for their role in it. When does that promise end, especially if the technology is still in use? It becomes a problem when you consider how many other companies are involved in the security industry and how do you balance these historic promises of anonymity with the public’s right to know? b) the public interest in disclosure clearly outweighs in importance any financial loss or gain to a third party, any prejudice to the security of its structures, networks or systems, any prejudice to its competitive position or any interference with its contractual or other negotiations. The issue here would be proving that this disclosure is in the public interest and not just in the interests of the researcher. As I understand it, this exemption in the past was invoked in cases surrounding the release of environmental testing results and was contested in requests involving the agriculture sector. I don’t know of a case involving national security (but would definitely like to hear about it if someone does). Certainly I think it would be in the public interest to know more about this given that the government had permitted wiretapping to go on without any oversight by Canada’s courts in this period and it may have played a detrimental role in people’s lives, particularly if they were dismissed from their job, say in the public sector, for something heard in a wiretapped conversation. I certainly don’t think a national security exemption or international affairs redaction was warranted given, again, we’re talking about 1951 and any spy worth their salt didn’t use the phone to discuss secrets. Even government workers were explicitly told in security manuals not to disclose sensitive government information over the phone. What do you think? Where do we draw the line over protecting the corporate sector’s role in our security history? Last week was a busy news week. There was an attack on the British Parliament, Trump made the news (this is actually a daily occurrence), and what you may not have noticed was the last vestiges of a strong intelligence oversight plan disappearing in Canada. You can be forgiven for it, not many people knew about, not many people seemed to care, and that was something the government seemed to be well aware of. Now perhaps the “last vestiges” is a bit of an embellishment and an exaggeration on my part, but only “perhaps” because consider how long it has taken for the Canadian government to take seriously the issue of intelligence oversight, and actually put forth a bill to deal with it. The answer, to put it simply, is a very long time. The last real attempt at reform came back in the days of the creation of CSIS, over 30 years ago. When the Security Intelligence Review Committee (SIRC) was created it was only meant to review CSIS activities, not the RCMP, which has now once again entered the world of counter-intelligence (that worked out great before CSIS remember?) and it also doesn’t cover all the other intelligence divisions of the military, or the Canadian Security Establishment (CSE) which is responsible for signals intelligence. Everyone has their own method of “oversight.” Getting the government to take oversight seriously is a big deal, the last major overhaul required a Royal Commission and public scandal and this time it required significant public concern over the Harper government’s bill C-51 or what became the Anti-Terrorism Act 2015. 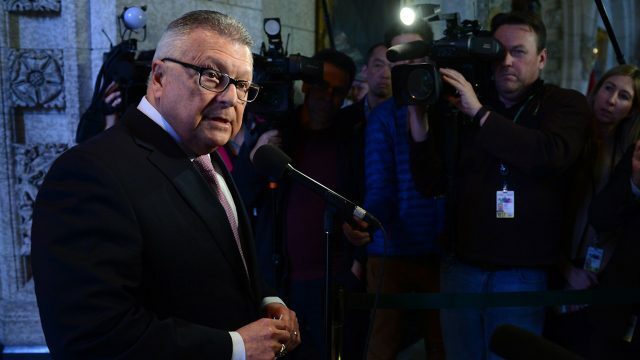 The Liberals you may recall campaigned on making sure that proper oversight would be in place to deal with the new powers Harper’s government gave Canada’s intelligence agencies and to placate all that public uproar. But that was so 2015! It was ages ago in the world of the internet news cycle and the lack of attention bill C-22 received seems to have confirmed just how short of an attention span all that moral outrage and citizen concern had. So what happened last week? Bill C-22, the bill designed to create a Parliamentarian oversight committee that would have access to everything it could ever want in terms of information about intelligence agencies and activities (at least that’s how the Public Safety Minister Ralph Goodale liked to advertise it) was gutted by the Trudeau Liberals. I don’t use the term “gutted” lightly, but let’s talk turkey here. It was gutted. The Parliament committee that was made up of members from all the parties in the House made improvements to the original Liberal plan and the governing Liberals rejected the most important of them. So what does that mean? It means that the new oversight committee will be handpicked by the Prime Minister, and perhaps most importantly, the committee could be denied the ability to see information if it could prove injurious to national security, and a Minister makes that determination, not a court. That’s right, the committee that is supposed to be responsible for overseeing the intelligence community which (I’m often told) is responsible for national security, will not be able to see information if it may injure national security. The bill will go to the Senate soon and one can only hope the new “non-partisan” Senate will try to inject some actual oversight power back into the bill but I wouldn’t hang much on that. What will sting the most for some is the government advertising its new committee as having kept its campaign promises even though those in the know realize that this isn’t true. I was never a fan of a Parliamentary oversight committee as a means of oversight, primarily because I take issue with the lack of oversight on Parliamentarians. Many of the intelligence scandals in our past (that we know of) began with orders from the government not rogue intelligence officers. Still, I was open minded. Perhaps bill C-22 was meant to placate the intelligence community? Perhaps, but if so, it’s both foolish and shortsighted to think that this type of oversight is good for the intelligence community. At the end of the day, bill C-22 will not protect the intelligence community from scandal, let’s get that straight, it’s designed to protect the sitting government from scandal. Politicians will likely be more than willing to throw the intelligence community under the bus if required, except with this bill, it will have to wait until a new government comes in and the new one will use the oversight committee to throw mud at the old one. Rinse wash repeat. This kind of oversight that the Liberals are trying to push through can easily become a means of playing politics with serious issues, and it likely will. The real devil here isn’t the government or the intelligence community or politics. The real demon and Shadow King (to borrow from Marvel comics) is – secrecy. This has haunted and plagued Canadians from having any meaningful level of intelligence oversight or real transparency and freedom to information. Governments in Canada have been slavish followers and believers, worshiping at the alter of secrecy believing that if all were truly revealed the sky would fall, Canada’s allies would abandon intelligence sharing (insert other fears here) and on and on we go. It shouldn’t take scandal to have reform. It shouldn’t take public outrage or public disgust with government. It should take responsible and real leadership to admit change has to come. Instead we are left with governments devoted to policing the effects of problems rather than the causes. In the case of bill C-22, it was created to deal not with the cause of lack of oversight (which was the devotion to secrecy) it instead dealt with the effects of improper oversight which was citizen discontent and concern. So the government “investigated” and “debated” and held “consultations” all designed to placate a citizenry into accepting the idea that “don’t worry, we’re dealing with your discontent and doing something” and then bill C-22 was the something. It didn’t have to solve the root cause of the problem of poor oversight, just the effects. The thing is about governing this way is that the endless decision-making that often takes place leads to nothing being decided. So we are left with in bill C-22, an oversight plan with so much built into it to avoid oversight. And again, it’s secrecy that is the culprit. The government’s desires to hide information, the insecurity of the national security oversight plan, is at the root of bill C-22’s failures. The government would do well to learn from our intelligence history, and from other nations, that secrecy is what leads to scandal. It’s ability to protect is limited and fleeting and should only be reserved to protect real threats to security, to protect agents, current investigative methods, and active operations, but not from the body designed to investigate all this! An independent oversight body, working in conjunction with experts and the courts, would have been a serious attempt at oversight and actually could protect the intelligence community if they were in the right, and the public if they were the victim of abuse by members of the intelligence community, as well as getting to the bottom of who should be held responsible. How would that play out? I don’t know, that was the government’s job, but they passed on it. 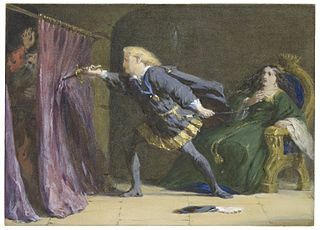 So in sum, goodbye oversight, we never really met, the public didn’t really know you were planning on stopping in, but you seemed like an interesting fellow. Maybe one day you’ll be back. Of course the current “oversight” mechanisms in each agency and institution are not departing, we will just continue to know little about them as usual, which includes measuring their effectiveness. One would think that with all the scandal and history the government and intelligence community have faced, not just in this country but in others, that they’d have figured out how to deal with that demon of secrecy, figured out the biggest lie, the biggest secret. Because you see, I will share a secret and tell you the big lie, the big secret about secrecy. Nothing stays secret forever.